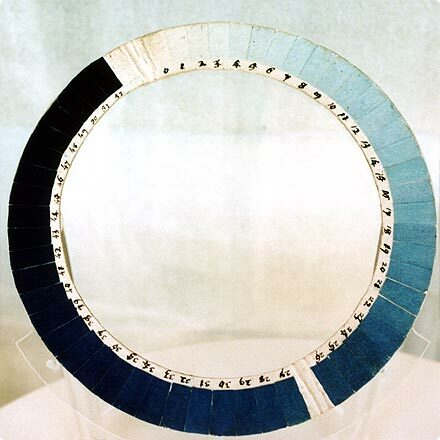 A cyanometer is an instrument for measuring 'blueness', specifically the colour intensity of blue sky. It is attributed to Horace-Bénédict de Saussure and Alexander von Humboldt. It consists of squares of paper dyed in graduated shades of blue and arranged in a color circle or square that can be held up and compared to the color of the sky. 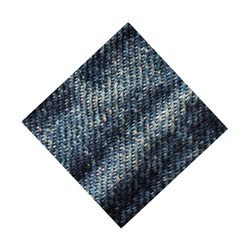 Or perhaps for measuring the age or era of your denim.